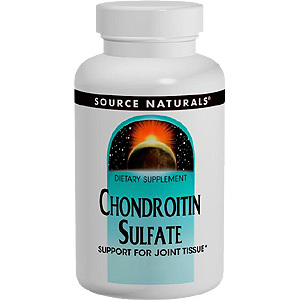 Chondroitin Sulfate (CSA) is a mucopolysaccharide found in cartilage, tendons and ligaments, where it is bound to proteins such as collagen and elastin. Current research indicates that supplemental CSA may help maintain proper joint function. 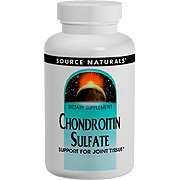 Chondroitin Sulfate 400 mg - 120 tabs, (SOURCE NATURALS) is shipped in a discrete, unmarked package. Orders are processed immediately and usually take about 3 to 5 working days to be received. We do ask that you try it for 2 to 3 weeks to feel the full effects. Any information received is used only for order processing and shipping purposes. Your information, such as e-mail address, will never be disclosed to a third party.